According to AdWeek, 28% of time spent online is on social networking what if you could use Instagram scheduling tools to build and grow your Instagram channel? 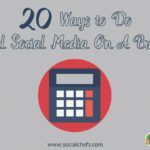 While that's a staggering amount of time that is being spent online and a number that should only continue to increase as the number of social networks continues to grow, as a business owner, this affects you as well. For example, Instagram has roughly 400 million users and is growing rapidly. As people begin to spend more and more of their time online, if your business has a presence on Instagram, this means you’ll need to find time to create content to keep your audience engaged. If your business has multiple accounts, while you can now manage them from one Instagram profile, you’ll still need to find the time to post updates to your Instagram channel. In order to save you time, I recommend planning out your updates in advance and then add them to your social media editorial calendar. This way you won’t have to scramble to find content to post. Instead, you’ll have everything ready to go. But how do you go about scheduling your Instagram posts? Rather than posting your Instagram updates all at one time from your mobile device, there are a number of Instagram tools that can help you post content to your Instagram account. This way you can keep your audience engaged, but also be working on other areas in your business. In this article, you will learn about ten Instagram scheduling tools to help you schedule updates to Instagram. Here's a look at the current interface for Hopper HQ. One of the Instagram scheduling tools you should check out is Hopper HQ. They are consistently ranked as one of the top tools for scheduling Instagram posts. Post to Instagram automatically - no post reminders! In addition to helping you plan, create and schedule Instagram content, Hopper HQ supports scheduling Instagram photos and videos. Hopper HQ offers a generous 14-day free trial. Prices then start at $19 per month (or less if you choose the annual plan). ScheduGram is one of the most popular tools for scheduling Instagram posts. Here are some features of ScheduGram. ScheduGram also offers a 7 day trial if you want to see how this scheduling tool works for your Instagram account. Another great tool for scheduling Instagram posts is Later. Later offers two types of accounts. You can upgrade to other plans if you need to be able to schedule updates to multiple Instagram accounts. Later also offers a companion app. With the Later mobile app you can create and schedule Instagram posts. Where Later differs from ScheduGram is that instead of scheduling and posting updates to Instagram for you, they will remind you when it’s time to post. It’s then up to you to approve and post them from their web app or mobile app. A third tool for scheduling your updates to Instagram is TakeOff. TakeOff is part of the tool, Crowdfire, a social media management tool. Their initial plan is free for one account. After that, they increase to $10 per month. Another great feature of TakeOff is that they offer a companion mobile app. With the companion app, here is what you can do from your mobile device. If Instagram and Pinterest play a big role in your business, you may want to give Viraltag a try. Not only can you schedule Instagram posts, but Viraltag also let’s you schedule posts for Pinterest, Facebook, Twitter and more. Another feature they offer is the ability to customize your Instagram posts according to your brand. With this feature, you’ll be able to add multiple product links to your Instagram posts to help you sell on Instagram. If you want to be able to make your Instagram account shoppable, you’ll need to upgrade to their higher tiers. Overall, Viraltag offers a lot for businesses looking to not only schedule Instagram updates, but also sell on Instagram. Onlypult is another tool for scheduling posts to Instagram. With Onlypult, you get a number of additional features besides just scheduling content to Instagram. Onlypult starts at just $12 per month. There is also a 7 day trial available if you want to compare it to other scheduling tools. If you’re looking for a more comprehensive tool to schedule Instagram posts and more, you may want to consider Hootsuite. Not only can you schedule Instagram posts, with Hootsuite, you can also manage your other social media channels as well. Hootsuite is available as a free tool, but if you want to add more than three social profiles, you’ll want to upgrade to their pro plan, which is just $9 per month. Compared to the other scheduling tools mentioned so far, you get a lot with Hootsuite. They even offer a 30-day free trial. There are a lot of Instagram scheduling platforms available. If you schedule a lot of Instagram content though, you’ll want to be sure you check out each tool. Some limit how many updates you can schedule. One that doesn't is Machinegram. For around $10 per Instagram account, you get unlimited scheduling. Another interesting Instagram scheduling app is Buffergram. Buffergram can get a little pricey. It starts at $5 per month for just one post and that is without tracking. If you want analytics, it jumps to $20 per month. The next Instagram scheduling tool that we recommend is Buffer. With Buffer, you have a lot of options to choose from to schedule Instagram posts. You can schedule up to 10 posts on Instagram with their free account. If you need to schedule additional posts, you'll need to upgrade to their awesome plan, which gives you 100 posts. While you can schedule Instagram posts with Buffer, it won't post them for you. Instead, you'll get a notification to publish your post that you have written. Buffer offers a free plan. Their next highest plan for scheduling Instagram updates starts at $10. Another tool to schedule Instaghram posts is Autogrammer. Autogrammer provides similar functionality to the other Instagram scheduling tools mentioned. One thing that they don’t do is let you upload videos. If Instagram videos are important to your business, you might want to look at some of the other tools such as ScheduGram or Latergramme as they let you do more on Instagram. Autogrammer is $19 per month per Instagram account. There is a 7-day trial of Autogrammer if you want to test out the Instagram tool to see if it meets your needs. There you have it, ten Instagram scheduling tools to help make it easy to plan out and schedule your updates to Instagram. Now that you are aware of the best scheduling tools for Instagram, be sure you spend time testing out the ones you’re most interested in. This way you can see which of these tools best fits the needs of your business. If you’re currently using any other tools to schedule your Instagram updates, I would love to hear which ones, what they do best and what your ideal Instagram scheduling tool would look like. Please share them with me on Facebook, Twitter, LinkedIn or in the comments. I quite like using Hootsuite to schedule Instagram posts. It was a little strange when I first started since you have to use the mobile app and then it does a weird thing where it copies your content and you paste it over into Instagram but as far as scheduling tools go it works great. We do as well @petersaydak:disqus. It’s actually a very smart way to post to Facebook and Instagram until a native solution becomes available. Great post. I used before Buffergram . Buffergram can get a little pricey. It starts at $5 per month for just one post and that is without tracking. Can you elaborate on what the weird part is when sharing from the mobile app @petersaydak:disqus? What was your process you used? You can only post to Instagram from a mobile device so if you schedule an Instagram post in Hootsuite you get a notification on your phone at the scheduled time. You then open Hootsuite, select your post, it asks you if you’re logged into Instagram on your phone and copies the text of your post to the clipboard. The Instagram app opens and then you post your image and paste in your comments. Thanks for sharing that with us @petersaydak:disqus. Yes, that is one limitation of using Hootsuite. It’s also a limitation of many other Instagram scheduling tools as well. Not really a big deal if you have your mobile device handy. We also think it helps keep people in-touch with their social channels rather than trying to automate everything and not be fully present. are there any schedulers that will post on instagram without you needing to be awake for that final step? We recommend checking out Later, Autogrammer, Hootsuite and Schedugram. Most still require you to have to login to push the post live on Instagram. There isn’t exactly a perfect system for scheduling and posting Instagram posts because they’re locked to Instagram’s API requirements. Hootsuite has done a nice job with their scheduling process. It’s pretty seamless with the exception of a few hops between apps. Not necessarily a dealbreaker that would keep me from using them. There is also one more tool and that is Blog2Social. It has an advantage that there is no server side installation to be done and it is user friendly. It allows the post author to advance directly to the posting dashboard of Blog2Social Word-press, in which pre filled posting texts are provided. Thank you for the recommendation @debinajoe:disqus. Can you send us more information on the tool? Please send here: http://www.socialchefs.com/contact and I’ll have the team take a look. Thanks to Christian for the mention! We just released a new version this month where we completely overhauled the user experience and features of the app. Furthermore (included for Free with all packages) we allow Facebook and Twitter scheduling so you no longer need to manage different platforms across different tools. Thanks for stopping by and telling us more about your newest version of @autogrammercom:disqus Gary. Hi Christian! I want to recommend ome more good way to schedule photos on instagram push.photo. I use few months and all is well. Thank you for the recommendation @jacobplan:disqus. Do you work for them? http://www.fasoar.com is an online boutique that committed to offer variaty of fashion socks with high quality for customers, from the moment this brand founded, Our mission is to provide you with the greatests socks possible – and at a fair price. This is great blog. Thank you for sharing its really helpful.When you plan and schedule your projects, it also helps improve communication among your team.scheduling tool help you can also use the plan for as a guideline when communicating with your team at progress meetings. Thankyou so much for such a wonderful article. I have read about Pifyc at BETAPAGE. It is the simplest way to schedule & manage your Instagram posts online. Can you tell me something more about it…? Thank you for the suggestion @alexkimbam:disqus. Let me see what I can do to update the post. We’ll check out Socialdraft @alexkimbam:disqus. When you click the link in the text message, does that launch Instagram or take you to Socialdraft to login and approve it? Awesome list, have you tried seekmetrics for instagram analytics yet? We have not, but will put it on our list to check out. Thank you for bringing it to our attention. Thanks! I use https://onlypult.com/, very satisfied. Good to hear @instadirect:disqus! Thank you for sharing. Sorry this comes a bit late. Can you suggest a free tool that actually automatically posts for you? Not those that just notify you, like Hootsulte? Thanks! Most don’t post for you because of Instagram’s API requirements. We tried to stick with tools we trust. This way your business doesn’t get banned. Which tools have you tried so far? Can you list them out for us @charmayne_lim:disqus? Thank you. Is schedugram one that works with Ig? I heard that auto posting is against Instagram T&C… and that you’re account could get banned. Is this true, and if so, is there a danger for us in using any of these tools? We don’t want any of our accounts to get banned! It depends on how they implement their posting tool @barnabyandersun:disqus. A lot of the major ones you know of or hear about worked with Instagram so you should be good. If you’re unsure about a tool, reach out to the company and ask them. If they’re honest, they should tell you if they are doing things by the books. Here is another choice, https://play.google.com/store/apps/details?id=com.kohaku55.schedugram, it’s can upload pictures automatically via your own mobile phone. Did any of you use Postcron until now? I’m looking for a tool that has Instagram completely integrated (not sending a notification before the schedule time), as well as Pinterest. And these guys have a really good pricing plan. @monica_badiu:disqus, most of the tools won’t automatically post for you. This is because of Instagram’s API requirements. The ones that do in most cases worked with Instagram to make sure they weren’t violating any of their rules. We recommend sticking with the main ones. 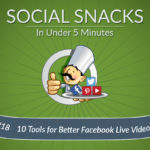 You may also want to check out Hootsuite (http://www.socialchefs.com/go/hootsuite/) or Buffer (http://www.socialchefs.com/go/buffer/). Consider trying them out to see if they are what you want. They each have a trial. A few of the above do post autimatically? But, they work with the API rules? Because I’ll hop on board that train. I just don’t want to be banned. You’ll want to take a look at each one @mavisokpako:disqus. Schedugram did, but a number of them have gone through updates and they offer features that others might not that could be useful for your business. I would like to suggest another web based tool I’m using – NoWorriesBot. It has a post scheduler (unlimited posts), allows to crop in web, put description and tags and desired time. And it also has module for instagram promotion. Awesome! I don’t think I’ve read anything like this before. i am going to bookmark it and come back for learn something new. Thanks. Informative article. You should try out SocialPilot https://socialpilot.co/ . The best automation tool I’ve worked with until now. You can connect to 9 social media networks, and share as many as 500 daily posts and connect 200 profiles with just one SocialPilot account and that too at really cheap rates. It has features like Custom FB Branding, BulkScheduling, Never-ending feed content and suggestions, team collaboration upto 20 members and much. Thank you for the suggestion @disqus_ErxR04IKyQ:disqus. We’ll have our team look into it. Thanks so much for putting this together. 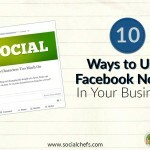 It’s a great article which gives social media marketers insight into potential solutions. I am the Founder of social media marketing software company https://knackmap.com – I’d love for you to consider us to be a part of this article as our software allows you to schedule to Instagram direct, with no need to do the final posting via your phone! We’ll check it out. Thank you for letting us know about your tool @disqus_rysjrprHkz:disqus. @khalidalmutawa:disqus, can you send us details about your tool for Instagram so that I can have our team take a look? http://www.socialchefs.com/contact. Thanks! Can anyone recommend an Instagram scheduler that can post on our behalf over the weekends ? (without any SMS notification). We work with a big client that needs Instagram posts even over weekends, and no employee in our compa,ny is working weekend shifts… Recommendations anyone ? Which ones from the list have you checked out so far @disqus_I6p5hM1HYR:disqus? I’d like to add a tiny li’l recommendation and get a review as well. Viralwoot offers a pretty comprehensive social media management suite, with Pinterest scheduling and promotion and an Instagram scheduler. Now, I’ve used their Pinterest suite for years and it’s awesome. However, the Instagram scheduler is relatively new, and while it’s easy to use, affordable and quick, I still need an opinion of an expert. Hello! Are any of these able to be used on a laptop? With photography.. it’s kind of a pain to constantly text myself the photos I want to post on IG.. since they’re all in galleries on my computer. Thank you! Most of these can be used on a laptop. In order to schedule the content, there is usually an approval process where you’ll have to approve the post. Which one are you leaning towards? Hey Christian- Great seeing you! Not sure if you’ve seen the Tailwind Instagram capabilities yet, but would be happy to give you a run through if you’re not familiar. Just lmk. Great seeing you too @disqus_JQvFWn6D66:disqus. We haven’t seem them yet. Feel free to reach out to us here: http://www.socialchefs.com/contact. We would love to check them out. Thank you @juraj_zamborsky:disqus. We haven’t heard of Kontentino. Hi there Christian! Thanks a lot for your recommendations. I have chosen Onlypult and i work with it over 5 months already, it had turned out to be a really useful service and keeps saving me a whole lot of time. This is so good to hear @disqus_8eYY8lRkgg:disqus! Thank you for sharing your feedback about the tools we recommended. We ❤️ hearing this @disqus_8eYY8lRkgg:disqus. Thank you for sharing your experience with Onlypult. I also choose onlypult. They are the best. I recently heard a podcast about an app that actually posts for you when uour audience is most active, but she’s didn’t mention it by name. Any chance you would know what this one is? Something for free and can post from desktop you know? They have limited free plans that might work for you @ridtube:disqus. Meanwhile, I found a semiautomatic solution for the desktop without a program. What is the solution, @ridtube:disqus ? I started to use insta-post.com, it’s seems to be easy and simple, based on features list, seems to be something good. I’ll check for next months. Hi Christian, is there any tool which schedule multiple photos (at least 9 pictures) in a single post on instagram? Thanks for the overview of tools, there’s so many out there. Some don’t last, some break the rules, and some keep on plodding along doing fine. Hopper, Tailwind and Later work well for me – tend to use each one to manage a different account (with themes) etc. Keep up the great work ! Very true. That’s why it’s extremely important to go with Instagram scheduling tools that follow Instagram’s requirements and have joined their partner program. This way you can make the investment and feel good about it. starting from only 25 Likes,Followers or Video Views and/or 5 own written comments. i started with the Autofollower-Service , which helps to get a certain amount of followers every day. . Very Good post.. I will surely use these tips for my Social media marketing campaign. What do you think which is the best tool? ( security, no worries about banns, price ) ? Anyone tried any newcomers like instasky.io? I have tried *so many* on this list (Later, Buffer, Hootsuite) and I have to say that my favourite Instagram Scheduling tool by a long shot is Plann (www.plannthat.com). They have really cool features like Sneaky Peek for looking at your competitor’s analytics, and you can even schedule Instagram Stories so you don’t forget to post them. The # lists in the app are also really helpful. Nice list. Thank you. I was using Buffer until they took away analytics on the free account. I am not at a paying stage, yet, with my blog, and I miss the analytics. I’m giving Later a try. Since I don’t schedule very many IG posts, the Later free account works for me. Most of them are really great services. But I would add here bigbangram.com/directmessage. Because it cheap, powerful tool to create auto DM. So I guess Gramblr is out of the question? Christian, thanks for such a good article and recommended tools. I’ve tried some of them and the best for me now is Onlypult. Really powerful tool for Instagram – it lets you schedule single or multiple image posts, galleries, stories, tag users and locations, and more. Another Instagram scheduling tool to check out is Planoly – available for iOS and desktop.